On 12/03/2018, the USCIS proposed a rule that would require employer petitioners seeking to file H-1B petitions subject to the regular cap, including those eligible for the advanced degree exemption, to first electronically register with the USCIS during a designated registration period. The proposed rule would also reverse the order by which USCIS selects H-1B petitions under the H-1B cap and the advanced degree exemption. Here is the full text published on Federal Register. The proposed rule is open now for public comment until January 2, 2019 before the USCIS decides whether to adopt the rule for 2020 H-1B cap and advanced degree exemption petitions with a start filing date of April 1, 2019. In the proposed rule-making, USCIS has indicated they have the option of delaying implementation of the pre-registration system for April 1, 2019 cap filing season if technical issues exist, though the initial intent is to have the pre-registration system in place. Employer Petitioner Shall Register H-1B Cap Petition Filing During a Pre-Registration Filing and Then File Those H-1B Petitions After Being Notified by the USCIS for Lottery Selection. 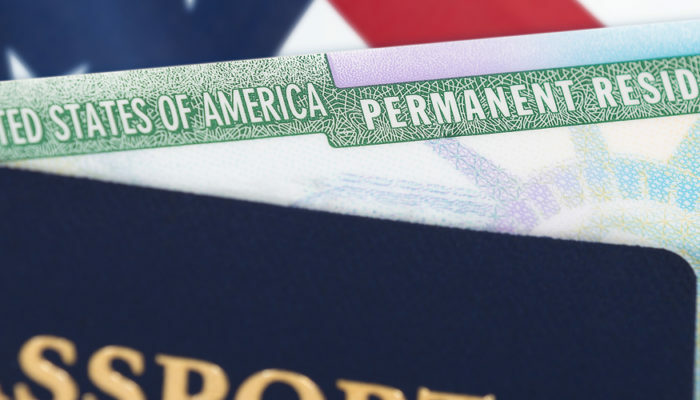 The USCIS will designate a registration period prior to opening of cap, during which employers can “pre-register” an employee for an H-1B cap number. The registration period will start 14 calendar days before the filing date of April 1, 2019. From the initial registration period, the USCIS will randomly select a sufficient number of electronic registrations to fill the available H-1B visa number for Fiscal Year 2020. Information needed to complete pre-registration for an individual employee will likely include some basic information, such as employee’s name, date of birth, country of birth, degree information, and etc. Selected registrations will be notified by the USCIS to the employers with a “window” of filing time. A selected registration will be given a 60-day window to complete and file the H-1B petitions. Each employer shall only register one employee per registration. If the USCIS receive too few pre-registration, the registration process can be re-opened by USCIS for more H-1B filing registration. Change Selection Process Providing Higher Selection Chance for “Master Degree Cap” H-1B Petitions. Under the proposed rule, the USCIS would include all registrations received in the first lottery for 65, 000 quotas and then move any remaining master’s cap registration to the 2nd lottery for 20, 000 quotas with the expectation to increase selection chance for “master degree cap” H-1B petitions. What Employers Shall Do Now? What H-1B Candidate Employees Shall Do Now? Each employer can only register one employee per registration. If an H-1B candidate employee receives multiple job offers, he or she shall ask as many employers as possible to sponsor your H-1B petitions with the expectation to increase your own lottery chance. An H-1B candidate employee’s capability to continue to work in the United States is contingent on his or her employment authorization authorized by the USCIS, which is also the mutual understanding of the potential employers and the H-1B candidate employee. If an H-1B candidate employee has realistic projects relevant to your major and sufficient funding, he or she shall also consider filing H-1B petitions through his or her own startups. Our law firm is specialized in filing entrepreneurs’ H-1B petitions. **** The information is only for public education purpose. Should you have any specific questions, please call us at 404.343.7166 or 800.928.4615 ext. 0 to schedule a free initial consultation. You may also schedule a free initial consultation online at https://www.lucylulaw.com/consultation/.